Luke and Jed discuss SFG’s stance on Excessive Braking, along with a seemingly bizarre ruling from NHRA. Plus, Million Dollar Race Promoter Randy Folk joined the show to clarify some of the details of this year’s Million and to provide his unique perspective on the decisions he was faced with at the event; both this season and in years past. 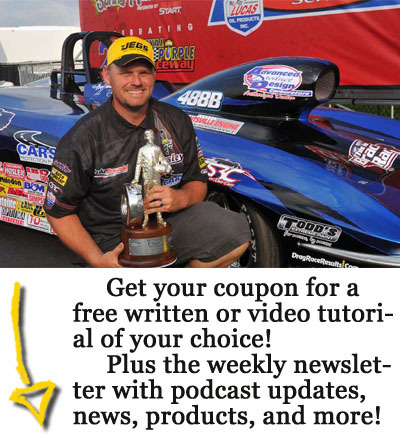 Plus: BTE Who’s Hot, event results from across the country, nerdy NHRA championship breakdowns, and of course, shoutouts for days!